Various measures of consumer sentiment have improved considerably since the election. A lot of this can be attributed to rising optimism about the future, related to the pro-growth policies expected from the new administration. However, there are some encouraging signs that Americans’ perceptions of their present situation have also firmed recently. 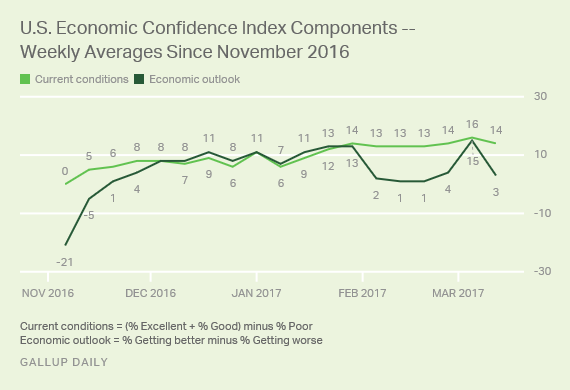 For example, Gallup’s U.S. economic confidence index earlier this month climbed to a 9-year high, including a new record for respondents’ reported views of current conditions. 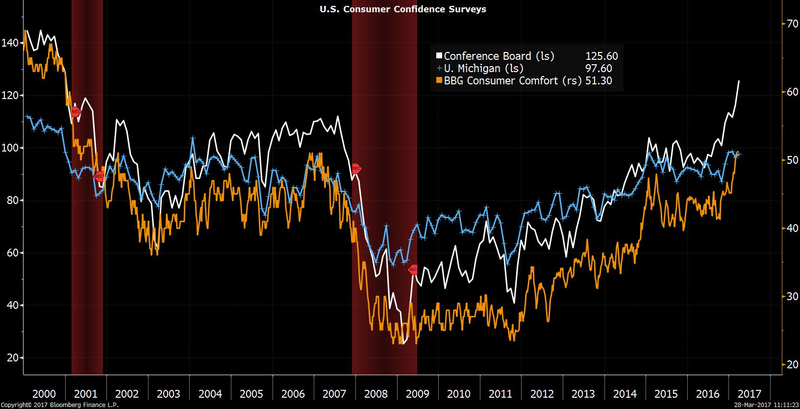 Similarly, the University of Michigan’s consumer sentiment index climbed in March, helped by the current conditions component spiking to the highest level since the turn of the century. A major factor behind the sharp rise was improved personal finances, i.e. households reported decade-high net gains in both income and wealth. All of that is good news because stronger balance sheets enable Americans to set more money aside for long-term financial needs, such as retirement, as well as unexpected, near-term setbacks like medical bills or car repairs. 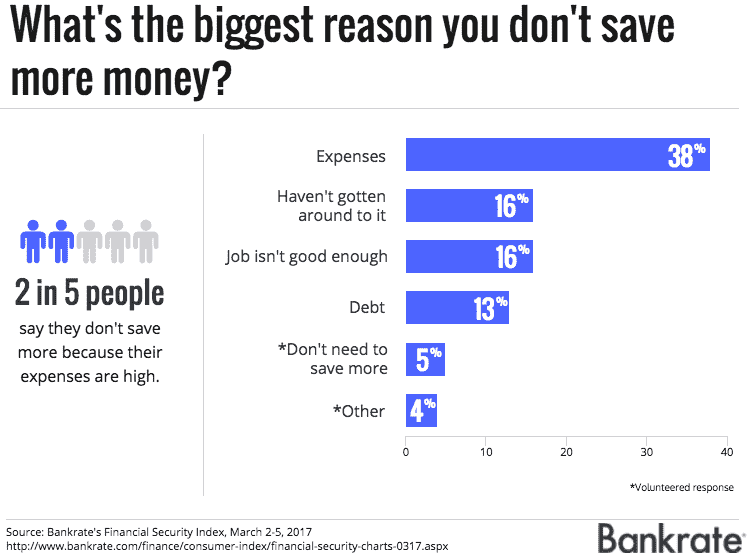 A new Bankrate survey even found that for the first time in six years, a plurality of Americans feel that their personal savings have improved over the past twelve months. 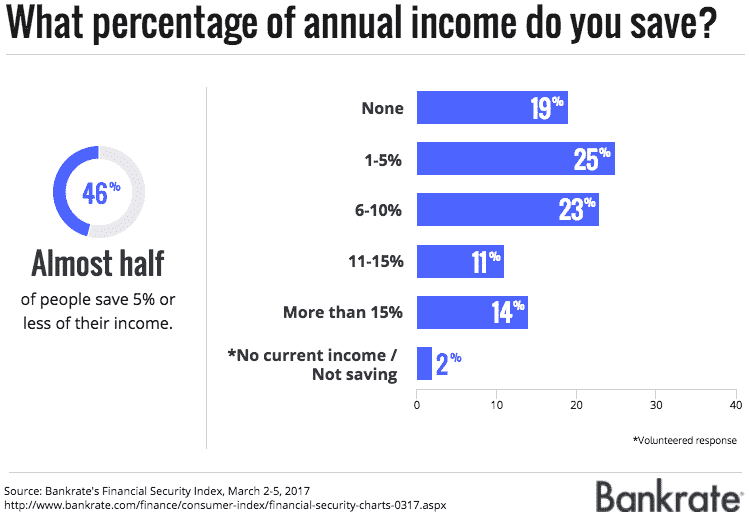 Specifically, 22 percent of consumer respondents said that they feel “more comfortable” about the amount of money they currently have in savings compared to a year ago. At the same time, only 19 percent of surveyed consumers said that they feel “less comfortable” about their savings, down sharply from 27 percent in the 2016 survey. However, the Bankrate report also revealed that even with the renewed optimism, many people are still doing a poor job of actually setting money aside.